It's time to start breaking Haggis Hell up into subsites. This page is part of the over-all site, but new John Perrott material will probably appear here. Excuse construction dust as pages and related files are moved. The page in question will be updated to reflect John Perrott's role. Questions or comments are welcome. For technical notes and disclaimers, click here. This is an interesting story. John Perrott is pompous but also a genuine Fundamentalist who compartmentalizes crime. He feels no guilt or shame. In fact, he's developed specific techniques, which he refers to as “client management”, that he consciously uses to defraud. He's believed to have an indirect connection to the past Perrott kerfuffle in Humboldt County, CA and may be one of the heirs that some of the legal filings involved discuss. 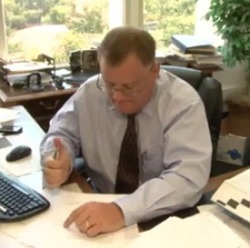 John Perrott's former boss and close professional associate, Tom Stutzman, was disciplined for alleged sexual advances towards a female client as well as theft. John himself is deceptive, classically “sleazy”, an archetype of a bottom of the barrel attorney. He won't hesitate to mislead a client or lie outright to them. but note that the sites are under construction. You can also just type John Perrott Attorney into Google as related links are often on the first page of results. 170321. John 03:21 is a Verse that's Fun. Here's a web version of the PDF. The closing section addressed to news media is omitted as that section has been moved to the Introduction part of the site. John, good day. Review the four statements in bold that follow. If you have concerns related to these four statements, respond within 10 business days. Read the document as a whole and address specifics. Threats or legal actions which ignore the request for a response or fail to address specifics are inadvisable. You should have received 4 pages. Respond in writing. Do not badger or threaten the process server. Do not attempt to get her to pass verbal threats back to me. You commented, in a video discussed on page 2, that “it's getting pretty old”. The part that's “getting pretty old” is your behavior. 1. Documents may, in the future, be delivered to you at residential as well as business addresses. For related points and/or details, see pages 1 to 2. Page numbers are inapplicable to the web version. 2. For reasons connected to threats that you've made against process servers and against me, as well as defamation that you've engaged in, couriers, process servers, interviewers, and/or other agents may, to the extent that this is permitted legally, transcribe, record, and/or film their interactions with you. For related points and/or details, see page 2. Page numbers are inapplicable to the web version. 3. I most certainly will be engaging, in the years to come, in communications, for legitimate and reasonable purposes, with third parties formerly or presently associated with Loleta, CA, Eureka, CA, Humboldt County, Santa Clara County, and/or other Counties located in California and/or other States. Such parties may include individuals, organizations, institutions, agencies, and/or entities of other types. Entities may be informal, religious, professional, or governmental in nature. For related points and/or details, see page 3. Page numbers are inapplicable to the web version. 4. The primary purpose of my previous formal communication to you was to offer to allow you to review the contents of a pending State Bar complaint. The paperwork issue that you've commented on is presently low-priority. However, this document includes a response to a related question that you've asked. For related points and/or details, see page 4. Page numbers are inapplicable to the web version. There are two domain names. Both johnperrott.attorney and johnperrott.org will work. Note: The right to use both domain names under the Nominative Use provision of trademark law is asserted. John Perrott: To the best of my recollection, a grand total of 2, possibly 3, documents were delivered to you by process server at a residence address in the 5 years prior to March 2017. If there were more than 3 such deliveries in 5 years, list the additional deliveries and I'll correct the number in future documents. You've characterized the infrequent delivery of documents to you at a residence as tantamount to a crime because, you note, “I have a regular business address”. So what? You're usually not at your office. Additionally, if there are occasions where you're willing to schedule delivery at a particular date and time, some process servers charge extra for deliveries of this type. Are you offering to cover the costs involved? And, what, exactly, do you submit is remotely inappropriate about residential delivery? In a video that is discussed in the next section, you suggest that, though you're unable to state a cause of action, you'll use the fact that “I'm an attorney” to look for “some sort” of means to harm me regardless of the fact that you don't have a leg to stand on. If you expect abuse of process to go well, as the young people say, “Come get some”. The three questions in the second paragraph above, and your failure to respond to them, will be part of my response. If I elect to retain copies of videos, and they prove to be admissible, they'll be filed as well along with detailed analyses. Deliveries will be made to the addresses that work for process servers and other agents. If you drop the bullsh*t and agree to discuss mutually acceptable approaches, this will simplify things. If you feel the need to continue badgering or threatening process servers, note that YouTube is a legitimate and reasonable venue for discussions of your behavior. That part is discussed below. 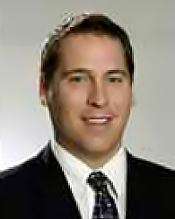 John Perrott: In early March 2017, I hired a process server to deliver to you an offer to allow you to review, and comment on, drafts of a pending State Bar complaint related to you. It had been reported to me by previous process servers that you'd been pompous, belligerent, and threatening. I discussed your behavior, and how to address it, with the new process server. Filming delivery was one obvious option. I left the decision up to the process server. He indicated that this step was legal and that he was comfortable with proceeding. There was no third party filming your meeting with the process server. Which, as you may recall, took place in public and in a context in which there would be no expectation of privacy. It was filmed by the person to whom you were spouting defamation and threats. Would you like to make an issue of this step, John? If so, state this and include your reasoning. Understand that your comments will not be treated as confidential. Your behavior has been such that, from a legal perspective, process servers and other agents really ought to film you. If you disagree, understand that your present behavior is inadvisable. John Perrott: In the video discussed on page 2, you made statements concerning alleged communications between myself and a third party. Your statements were defamatory, but, a few years ago, you tried to go farther than defamation. You filed a false police report. In doing so, you committed a prosecutable crime. In fact, in California, the crime that you committed could be prosecuted as a felony. The relevant point today, though, is that you weren't paying attention 5 years ago. How much did you say that Jim Kiraly and Tom Kiraly spent trying to shut me up? Hoping that I'd sign something that I was never going to sign? Of course, it would have worked out better for me if you'd troubled yourself to do your job as opposed to committing fraud. You told me, for example, that if I paid you to write a special document, the Court would order the other side to pay my legal fees in advance. You lied, John. Nobody was going to order my fees paid in advance. You charged me thousands of dollars for a document that the Court reprimanded you for submitting. Then you tried to convince me that the reprimand was a major victory. But that's a subject for the future. Even under the best of conditions for you, the rights that you'd have in connection with barring legitimate and reasonable communications with third parties, especially on an “a priori” basis, would be limited. And, the fact is, you've committed prosecutable crimes. This is asserted publicly as a fact. John, I'm not using any weasel words. Wish to try for a defamation action? I'd be more successful with that than you'd be. I'll be updating the pages in question to address your role. And I'll be communicating with whoever it's appropriate to communicate with for legitimate and reasonable purposes. John Perrott: In early March 2017, you told a process server a story suggesting I wouldn't pick up paperwork that you owed me because I was afraid to come to your office. The story that you told was partly made-up. This would have surprised me before 2012. I was naive. But I've changed and I look forward to demonstrating this. In mid-March 2017, you asked another process server to pass a message similar to the following on to me: “if you wanted your stuff why don't you just ask for it”. At least you commented politely this time. Thank you for that. Or, more likely, she omitted your usual pompous positioning and threats. I have a two-part response. First, why are you asking about the paperwork issue? The issue that's time-sensitive presently is the pending State Bar complaint. I only mentioned the paperwork issue briefly at the end of my previous document. And the focus in that case was on the unresolved question of electronic materials. Regardless of the outcome of an investigation at the State level, I'd like the State Bar complaint to be properly structured and as accurate as possible, as I plan to snail-mail it to a number of parties who may be in a position to comment. I assume that you feel the same way as I do about the accuracy of the complaint. So, why are you talking about the paperwork issue as opposed to saying “Yes” or “No” to the invitation to review the document in question? As far as the paperwork issue goes, I did ask. I raised some simple questions in 2014. You've chosen to ignore the letter in question. Or you never bothered to read it to begin with. The parts that are still relevant include the involvement of a third party who would pick things up, payment for the party in question, and the fact that no receipt stating everything has been delivered will be signed until the issue of electronic materials is addressed. This section has been moved to the Introduction part of the site. 160902. John Perrott Doings are Ensuings. This is a unfettered lettered from me to my former Family Law Attorney, John Perrott of San Jose, California. Update: The letter was delivered to John by process server circa September 2016. To read the copy that was delivered, click here. This post has been updated to largely reflect edits made to the PDF version. There are, however, differences such as the addition of pictures. Thomas Chase Stutzman, John's former law firm, seems to have shut down and John has his own practice now. I'll write more about the transition in due course. As a supplement to the letter, if you'd be interested in an odd environmentalist story set in Humboldt County, California, click on this link. More about the Vietor-Perrott Trust and back-story will follow over time. 1) This is an updated PDF version of a recent email to you. As receipt of the email has not been confirmed, delivery is being made by other means. For an expanded version of the document, including illustrations and updates subsequent to September 2, 2016, see the copy posted in online venues that you're familiar with. * Are you associated with a party in Boise, Idaho that is interested in Thomas Chase Stutzman and seems to have an offline copy of one of the online venues? If so, please notify them that their copy is out of date. * The primary online venue is now mobile-friendly. At least, the first page, so far, has been redesigned. Test it using your phone and offer suggestions. The phone should be at least 360 pixels wide in portrait mode. Although this document is, presently, a communication to you, future versions may be treated as communications, for legitimate and reasonable purposes, to other individuals, groups, entities, or the public in general, and may, therefore, be distributed to such parties separately from and in addition to you. 2) If you elect to respond to this communication, you'll waive both intellectual property rights to your response and any rights to confidentiality, though, in the current context, you have no rights to either to begin with. 3) Congratulations on the startup of your new practice, though, actually, I see that it's about 1.5 years old. I take it that Tom Stutzman has shut down his practice, as you've taken his phone number, and as his State Bar webpage now lists a P.O. Box as his address. However, the details remain to be confirmed and documented. I'll be pleased to post information related to the new practice, as a favor to you, and possibly increase your visibility in Google. There is no need to thank me for this positive gesture. It is the least that I can, and will, do to be of service, under the circumstances. As I understand it, I can identify people through public records, in some cases, who retain you and make use of your services. I imagine that they'll be pleased to talk and will speak in glowing terms. I may incorporate their input into future positive and productive writing related to your practice and to issues mentioned in point #5 below. 4) I'm presently planning to serve you, John Perrott, Family Law Attorney, San Jose, CA, with a formal offer to allow you to review, and contribute edits to, a State Bar complaint related to your conduct, focusing, in particular, on the malfeasance, fraud, malpractice, and/or prosecutable crimes that you've committed. This point, #4, is a courtesy notification to the effect that the offer is presently planned. 5) As you know, I'm interested, for reasons related to positive societal goals and supported by legitimate and reasonable purposes that are well-documented, in understanding the backgrounds, motives, and rationalizations that led multiple parties to commit prosecutable crimes in 2012 and subsequently. Is it an inescapable part of what we are that ordinary people, people who see themselves as upright, or even Fundamentalist, will, under the right circumstances, commit “white collar” crimes without blinking, without a trace of shame or remorse? Is it nature or nurture? Does upbringing play a role? And what can be done about "white collar" crimes, fraud, malpractice, abuse of process, and the fact that the system isn't designed, or intended, to provide recourse to victims whose lives are damaged by those who believe that wealth and power are synonymous with impunity? These questions should be explored. I'm confident that you agree. Additionally, of course, each person who committed crimes against me, in particular, in 2012 and subsequently is a part of my own story now, a story that I'm entitled to research, to write, to discuss, and to distribute. 6) You and I have discussed your religious beliefs, John. Where did they come from? What shaped you and led to you to become what you became? I'd like to request, as your schedule permits, input and corrections in connection with related legitimate and reasonable research. You've offered, as you're aware, to write to me regarding such matters in the past. I'd be pleased, if it proved to be necessary, to testify under oath to this effect. However, you haven't said much recently. Let's pick up the thread, therefore, with Loleta, California, a rural community in Humboldt County. Were you raised in or around Loleta or other parts of Humboldt County, John? Whether or not this is the case, the community is part of the story. I see that it's a tiny community; less than 1,000 people, correct? Would people in the area be able to commit on churches, schools, and other factors that may have influenced the development of your cohort? For today, let's get the basic facts straight. Offer corrections, if you're able to do so, related to the background information that is outlined below. I expect to have similar legitimate and reasonable discussions with others among our group of direct or indirect associates in San Jose, Menlo Park, Avila Beach, Austin, Dallas, and/or other cities. I feel that the discussions may prove, if pursued with gentle patience as the years pass, to be positive and productive. Loleta, California was apparently founded, in whole or in part, by a family known as the Perrotts. One line of descent for the Perrotts starts with a man named Henry William Perrott or William Henry Perrott, born August 6, 1865, died April 21, 1934. This Henry William Perrott married a woman named Nancy Burnette Moffett or Moffatt, born October 16, 1873, died December 12, 1951. They had a son named Henry William Perrott Jr. or William Henry Perrott Jr., born on February 25 in 1905 or 1906; records conflict about the year. This Henry William Perrott, the Jr., died on July 1, 1987. 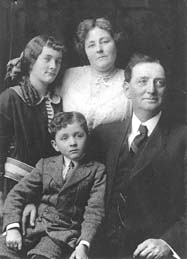 The black and white photo here shows the two Henry Perrotts with the younger Henry's sister, Vera, and the childen's mother, Nancy Moffatt or Moffett, in 1912. A legal document related to Vera and her Will is linked at the start of this post and also here. Henry William Perrott Jr. married a woman named Blanche Marie Hendricksen or Hendrickson, born on October 12, 1905, died April 26, 1981. The couple had 5 children, including: Robert William Perrott (born 1931), John Richard Perrott (born 1933), Sally Mae or May Perrott (subsequently Sally Mae or May Hammack, born 1940), Henry Albert Perrott (born 1941), and Carol Ann Perrott (subsequently Carol Ann Armstrong, born 1949-ish). The family lived on Table (or Sable) Bluff Road in Loleta, California, a tiny rural community that remains quite small today. Table (or Sable) Bluff Road isn't far from Perrott Avenue, named, presumably after the Perrott family. Henry Albert Perrott married Janice Marie or Maria Breazeale, born circa 1948, believed still to be living. It isn't known, for sure, if Henry himself is still living or not, but he's still listed in public phone and address records. Henry Albert Perrott and Janice seem to have had three daughters, give or take one, and a son. The son may have been John Henry Perrott, but this isn't confirmed. John seems to have been a middle child, but this isn't confirmed either. He is believed to have been born on Valentine's Day in 1968 and it appears a younger sister, Angelique, followed two years later. However, Angelique may be a cousin or relative of some other type. John Henry Perrott, the Family Law Attorney, may have been named after his uncle John, his father Henry, and/or his grandfather Henry. If John did grow up in Loleta, California, he probably attended High School in Eureka, California, about 13 miles from home. In fact, it appears that John attended St. Bernard High School in the latter city from 1982 to 1986 and graduated with the Class of 1986. However, this is unconfirmed. 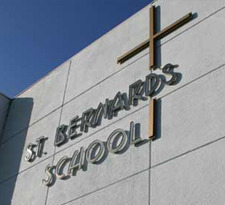 If it's true, it's interesting to note that St. Bernard is apparently a Catholic school. Would the teachings there have supported the views that John was forming or contradicted them? It's possible that John Perrott attended St. Bernard Elementary School before High School. It would have been a long commute for a child. However, John has at least one friend from decades ago who attended the Elementary School in question, but did not finish High School in the city or even in the State. John may have gotten to know the latter friend in Elementary School in Eureka as opposed to High School. If so, he attended school in Eureka during his childhood as well as his youth. However, this is simply speculation. The Perrotts are well-known in Loleta, California, and in Humboldt County in general. Given their notoriety -- I see litigation about 20 years ago -- and the small size of the community, plus the small size of St. Bernard High School classes, it seems possible that additional research for legitimate and reasonable purposes may provide additional insights into this part of the story, a story that will lead to insights into the development of rationalization and human behavior in general and promote positive and productive social goals. 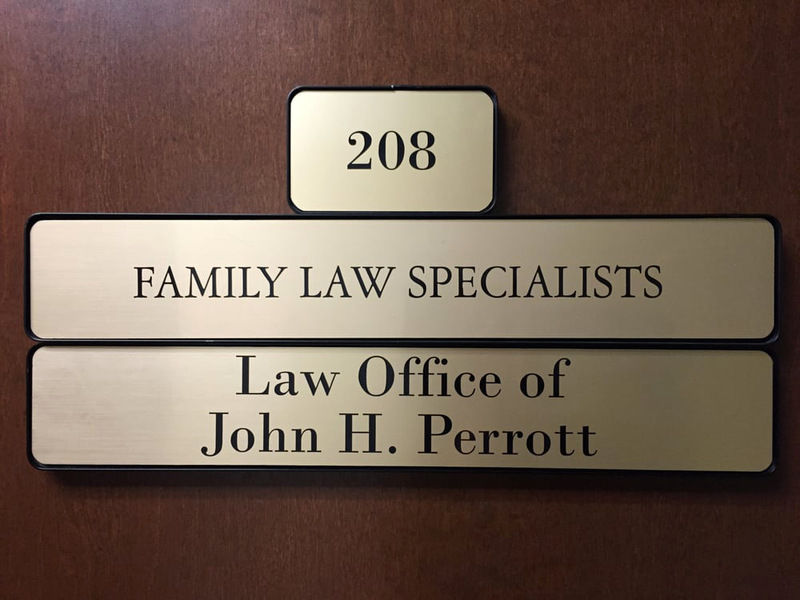 John Perrott, Family Law Attorney, San Jose, California is to be congratulated on his new practice. It's true that John likes to mislead clients, to manipulate them, and to extract as much money from them as possible while doing as little as possible in return. And, yes, it's true that John has developed a set of tricks that he refers to as “client management” that he uses to cheat people. These tricks involve specific phrases, body language, and gestures that John has worked out over the years. When he uses them, you know that he's lying. But that's a fine-looking set of signs. Professional in appearance. To access the image for download or zooming, click here. Or, in Android, on the image and hold. The CSS used by this page is transitional responsive code that includes some elements of Sinorca by Haran. Content that does not belong to others, and that is not otherwise licensed, is placed under Creative Commons BY-NC-ND 4.0. The rights-holder, for such content, is OldCoder. Where other licenses are stated, those licenses take precedence over this notice.